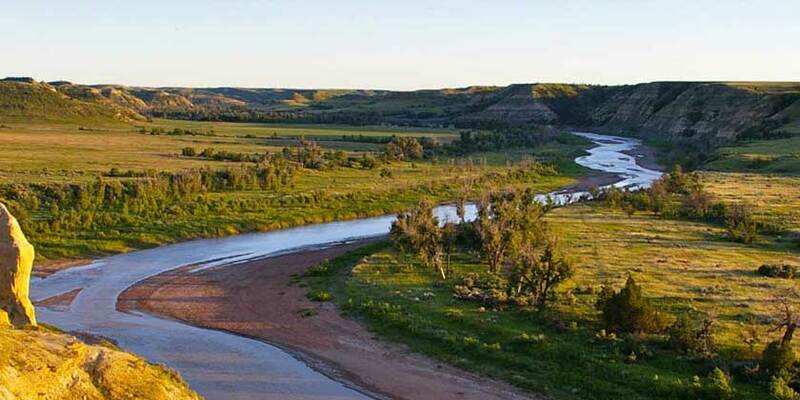 North Dakota’s capital, Bismarck, is located on the east bank of the Missouri River. The Capitol Building is an attraction itself due to its Art Deco architecture and the many walking trails and historical monuments on its grounds. The region is perfect for active travelers, with over 2,300 acres of parkland in the city and plentiful hunting in the surrounding Great Plains. Historic Fort Lincoln and nearby Indian villages are popular tourist destinations in summer, while winter leaves plenty of time for curling and hockey on local ice rinks.